Spring Into Summer, a Fremont Flowers exclusive for any occasion. 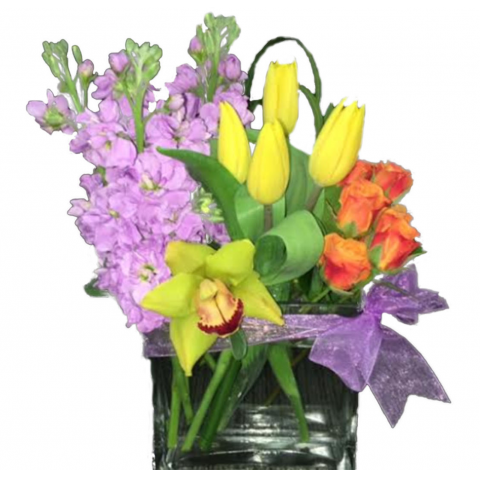 This glass cube is filled with spring blooms...in bright spring colors! It is the perfect gift for any occasion, but especially to help brighten someones day. It features tulips (when in season) , roses, orchids and stock. Should tulips be out of season, one of our floral designers will select blooms that closely resemble the look and feel of the featured flower.